Very good batteries for good price. Excellent website, service and choice. Great product & price; fast shipping... what more can I add! Too early to rate the battery's life, but so far so good. 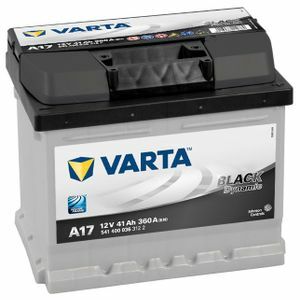 Who would have thought that you could buy a car battery on line - you can just as cheaply as anywhere without leaving home. Great. Very fast delivery, excellent service. Highly recommended. Excellent service delivered within 48hrs to my work address. WOuld definately use again. Delivered next day, well packed, no problems fitting as the battery is identical size and terminals to the original battery. Fitting required stripping back plastic trim parts at the top of the scuttle, for which a Torx bit driver was required. It proved impossible to keep the battery jumper leads connected due to the amount of movement to change the battery, so had I to recode the radio afterwards. I had reuse the old +ve connector shroud, which clipped to the new battery OK.
No question about it, service and delivery can not be faulted.